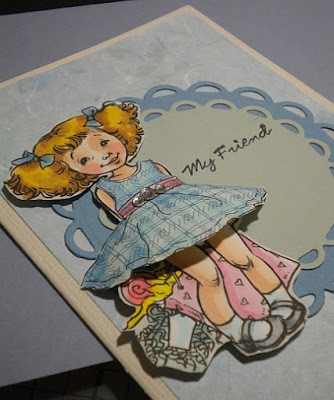 I just love the digi images that Maurine Manning Sells at her website! They are so fun to color with my copic markers! 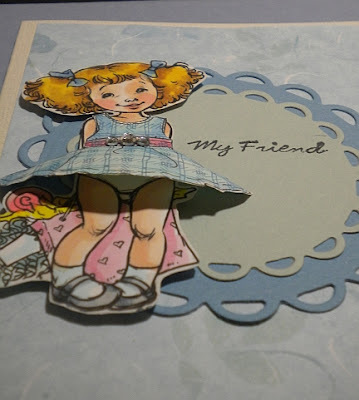 This one I am sharing today is actually a paper doll stamp. Her little dress is colored separate and added over the image. I decided to print the dress onto some patterned paper to add a little more texture. 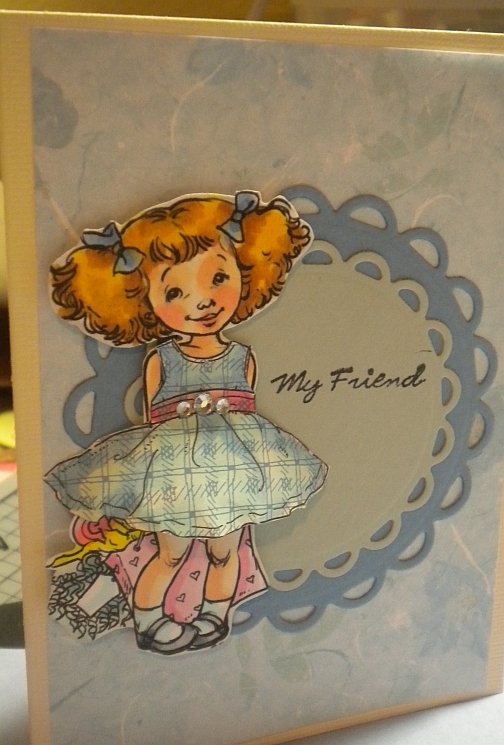 This card is fairly simplified because I had to assembly line 20+ of them to share in a card swap. Despite their simple elements they actually became more of an ordeal than I had anticipated. Lots of coloring (although I LOVE that) and then all those doilies cut out with my Big Shot. That part I didn't enjoy very much! Overall though, I am pleased enough. I hope you like it too! The photo unfortunately is rather pale and I am not real happy about that! Please come join my give-away! I have a bunch of stuff to give away. Share the news with your friends on your blogs or facebook pages and come back and leave a second message. More chances to win!! Follow the button at the top right of my page! So super cute. Love how you made her dress pop!